Roses have been painted, written about and adored for thousands of years. Here, we’ve gathered a few interesting facts about this famous flower. The rose is a perennial plant originally found in China and is now grown all around the world in a multitude of colours and varieties. Fossils show that roses have been around for at least 35 million years, but the plants were first cultivated around 5000 years ago in China and Egypt. Roses were very popular with the Romans and Greeks who used them as confetti, medical ointments and as a source of perfume. In the 18th century, roses from China were introduced to Europe. There are two main rose species used in perfumes: the Rosa Centifolia and the Rosa Damascea. Both of these are produced mostly in Bulgaria and Turkey. In addition to adding flavour and fragrance, rose oils have healing effects on the skin and help treat acne, burns, scars and wrinkles. This flower also has relaxing properties and is often used to relieve stress in adults and children. Rose hips, the fruit of the rose plant, are full of vitamin C and are used to make teas, jams and syrups. A classic note, rose is popular because of it’s pleasant and long lasting scent. Roses were the most sacred flowers in Ancient Egypt and were used as offerings to the goddess Isis. The Hildesheim Cathedral in Germany is home to the world’s oldest rose bush – the plant is thought to be over 1000 years old. Chisanga studied architecture before changing her mind and exploring media and magazines. She loves words, design and all things creative, and can’t imagine a world without tea or the colour black. I am in love with my CH 212 Rose…a must have! Rose scents are often favoured because of the natural sweet scent. Rose fragrance is my favourite! I love floral scents! Definitely Chanel Coco Mademoiselle! Paul Smith Rose isn’t on the list, but it is just as amazing. It smells like bottled roses and is by far one of the longest wearing perfumes I’ve ever used. I love roses. I would love to try out these perfumes. I have tested the Issey Miyake, smells refreshing and feminine! A must to try, love Roses. What a cute article! I recently purchased the D&G Rose The One, and I am in love with it! I am yet to try a rose scented fragrance…. You left off the list the DKNY Pure Rose. It smells so beautiful, actually like roses! I have D&G’s The One as well as The One and I prefer the latter because it’s not as intense which means it’s ideal for day and night wear. It’s a truly beautiful scent that lasts and lasts. Sounds great, but a bit expensive for me being a pensioner. I have tried Bvlgari Rose and it marvelous. 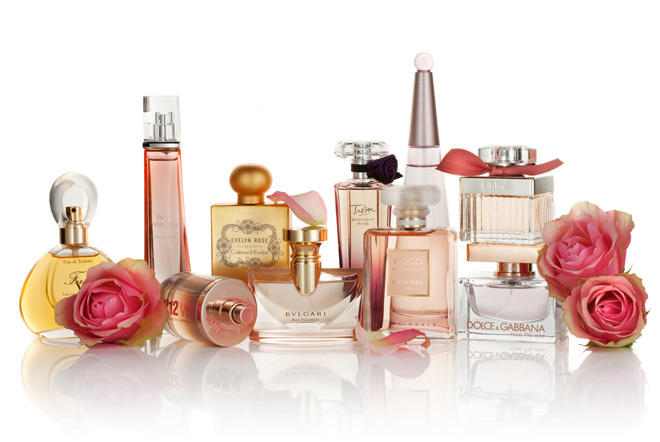 Great article, I love rose scents. I have Issey Miyake Florale. It’s really lovely, but not long lasting at all. I never knew this about roses. Interesting. As a scent, I like it but I find that it can lead to a headache if it’s too strong.